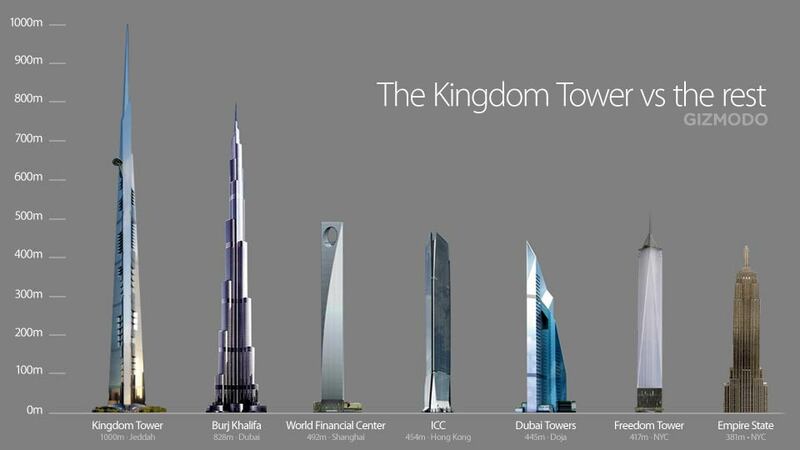 Mindblowing statisticsThe Kingdom Tower's numbers are impressive. The building itself will take a staggering $1.2 billion to build, "while the cost of the entire Kingdom City project is anticipated to be $20 billion," said AS+GG. 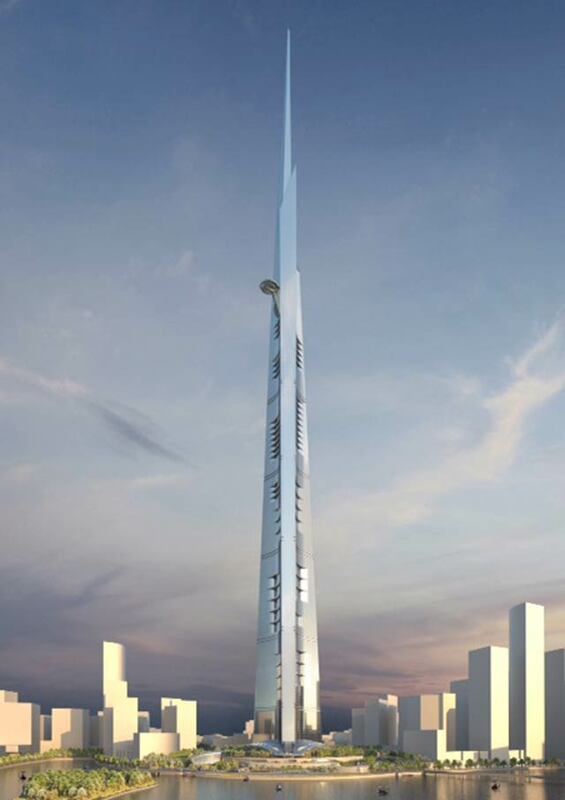 The massive 3,280-foot spire will house a 5.7 million square feet (530,000 square meters) space and will beat the Burj by "at least 568 feet" (173 meter). It will have a Four Seasons hotel, a Four Seasons apartment area, office space, luxury condos and the world's highest observatory. Designs for the foundation were in place by early August 2011 and the contract for the piling was being tendered. On 16 August 2011, Langan International officially announced their involvement and that the foundation and piling had to be uniquely designed to overcome subsurface issues such as soft bedrock and porous coral rock, which normally could not support a skyscraper without settling. The foundation will be similar to that of the Burj Khalifa, but larger. It is expected to be around 60 m deep with a concrete pad of around 7,500 m2 . The concrete will have to have low permeability to keep out corrosive salt water from the Red Sea. Its depth and size is also considered to be an indicator of what the tower's final height will be. The piles will be up to 200 m deep and the pad over 90 m across, yet even still the building, which will weigh over 900,000 tons, is expected to settle. The idea is that it settles evenly enough so that the building doesn't tip or put undue stress on the superstructure. Computer modeling programs performed tests at the site to confirm that the foundation design would work. A later design for the foundation, to be constructed by Bauer in 2013, calls for 270 bored piles up to 110 m deep which have to be installed into the difficult ground conditions.